The Starchasers two-hour feature film coming FALL 2018. Our dramatic feature film of exploration and adventure follows the origins of a daring, seemingly impossible and ultimately historic journey of tremendous magnitude that united 10 Pacific island nations in an urgent call for cultural and environmental preservation. Our narrative is built from highly cinematic verite footage shot over two years following the navigators of the_ Te Mana O Te Maona _voyage to 15 countries. Our series pulls viewers onto this intrepid adventure experiencing the challenges, emotions, turbulence and awe of living openly at sea on traditional Polynesian sailing canoes. Our dramatic two year journey is interwoven with new interviews with our Pacific heroes reflecting on the empowerment, the reviving of once lost traditions, the conflicts, hopes, loves, and losses throughout the journey as well as the inspiration that continues as Polynesian sailing canoes are once again incorporated into the day-to-day lives of Pacific peoples. Western historians long described Pacific history as made of accidental voyaging by primitive peoples who drifted to islands in small rowing canoes. This derogatory perspective, claiming Pacific islanders were not advanced enough to design and navigate ocean going vessels, was solidified in the 1956 book “Ancient Voyagers in the Pacific.” Historical correction was provided in 1976 when the first ocean going Polynesian canoe in 600 years, the Hokulea\, was launched from Hawaii. 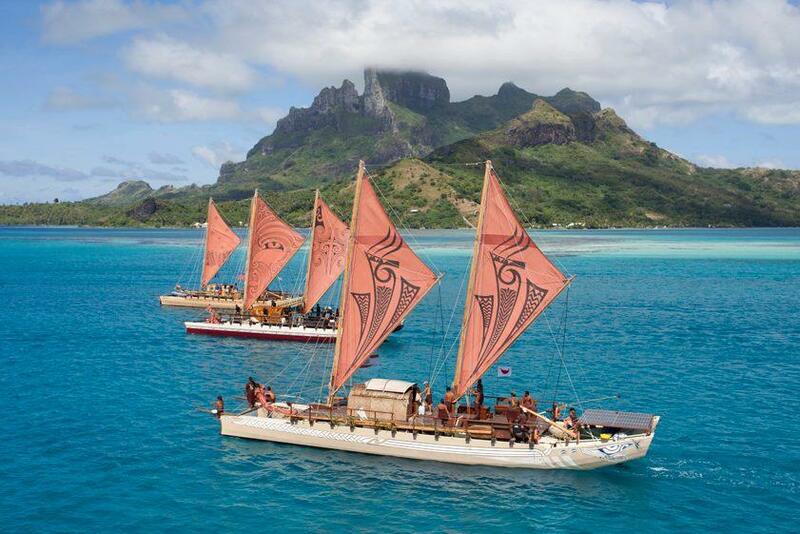 Thus began a Renaissance in Pacific voyaging that continued in 2011 with the _Te Mana O Te Moana_ journey of seven double masted Polynesian sailing canoes training hundreds of first time sailers in the almost lost art of traditional navigation. The impact from our historical voyage can be seen today with islanders implementing traditional voyaging in novel ways throughout the Pacific region. Okeanos Mission Video from Okeanos Foundation for the Sea on Vimeo.